Surprise surprise, FIFA 18 is another rock solid entry in EA's footie sim series. Why wouldn't it be? It feels like the developer pretty much nailed its formula years ago, and ever since, it's just tweaked and added things little by little with each annual instalment. This year's title is no different. It looks better, it plays better, and, well, it... It is better. At the end of our FIFA 17 review we questioned what the company could do next to keep the ball rolling. 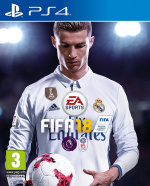 Last year's entry was great, but add a pinch of Cristiano Ronaldo, refine the pace of play just a touch, and improve a few key game modes, and you've got another winner on your hands. Bust out a new shelf on that trophy cabinet, lads. When you're on the pitch, the game's got a real fluidity to it -- more so than in previous incarnations. This is partly thanks to a slew of fresh animations, adding to the franchise's already sizeable catalogue of jogs, runs, kicks, jumps, and falls. It's one of those upgrades that's hard to describe unless you're actually playing, but there's a slickness to proceedings. Even when you're just fiddling with the ball at your feet waiting for a winger to make his run, the increased responsiveness of the controls is clear. Does this mean that defending against especially tricky players is more difficult? Yes and no. While it does feel like you can flick the ball around a bit faster, defensive techniques have also seen a slight overhaul. For starters, you can now charge standing tackles like you charge the power of a shot. The longer you hold down circle, the more forceful your lunge will be, meaning that you can cover more distance with a well timed challenge. It's just one of many smaller tweaks that contribute to a more involved game. Passing has been smoothed out as well, and this is particularly noticeable when you're striving for one-touch football. Players seem to string quick passes together more effectively, allowing for some great looking play if your team's set up to keep possession. That said, you can also see the impact if you love to counterattack. Get enough attacking players in the right positions and you can cut teams to ribbons thanks to the new passing properties. If walking the ball into the net isn't really your style, FIFA 18 encourages you to race down the flanks and get crossing. Yes, much like passing, crosses seem to have a lot more swagger to them this year. There's a certain buoyancy to their flight that allows your strikers to attack the ball more often than not, and naturally, this can make for some stunning goals. Again, though, these offensive enhancements don't necessarily mean that defenders are going to be on suicide watch. Instead, in order to defend efficiently, you need to practice your positioning. Racing out of a back four to win the ball early is a risky proposition because of how quickly accurate passes can take you out of the game, so there's more emphasis on staying composed and waiting for the right moment to unleash that reworked standing tackle. All in all, general gameplay feels like it hits a nice balance. There's plenty of style on show and the aforementioned fluidity is ace, but at the same time, positioning is key, and a well oiled team can keep aggressive attackers at bay. There's an argument to be made for FIFA 18 being more methodical, but then there are times when the action is fast and loose. Just like real football, we suppose -- and that's definitely a plus. Putting gameplay to one side, EA has worked in some welcome additions elsewhere. 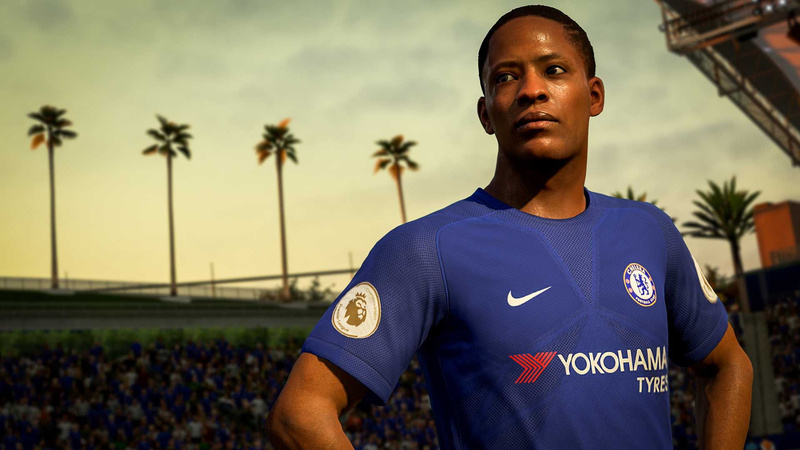 The Journey returns from FIFA 17 as we once again follow the story of cocky cockney Alex Hunter. In the last instalment, Hunter basically made it big in the Premier League, and this time around, he's jetting off to seek fame and fortune somewhere new. As with last year's release, The Journey does well in that it's not a total embarrassment. In fact, this next chapter in Hunter's tale is better paced and better told. The stakes are that much higher, too, adding some surprising tension later on. The dialogue's still decent, and as a story mode in a football sim, it's still good fun. 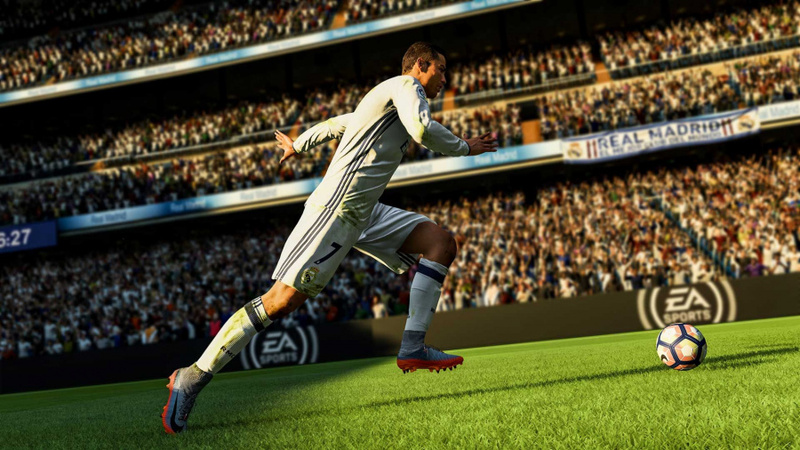 Meanwhile, FIFA Ultimate Team remains horribly addictive, and although no alterations have been made to how it functions on a base level, the developer has added some thoughtful single player content to its most popular attraction. A new mode called Squad Battles lets you face off against the ragtag teams of other players, and the introduction of timed events help make you feel like you're part of the big FIFA family. EA seems as keen as ever to provide more options for every kind of player, and that's always a step in the right direction. 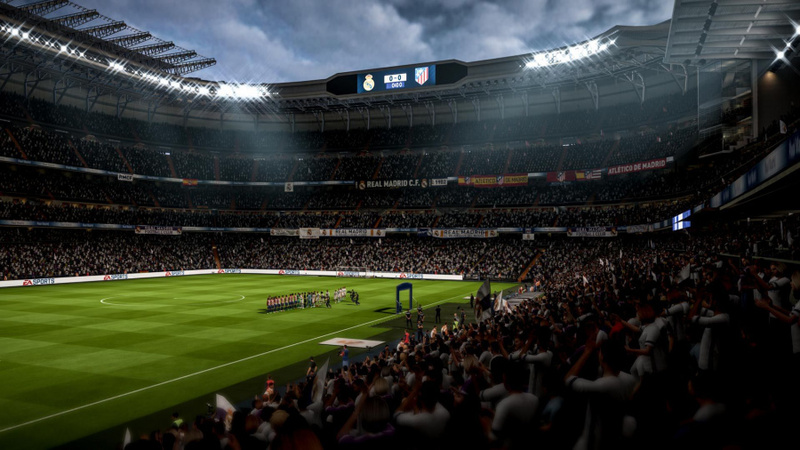 Career mode remains largely the same as well, but the introduction of cinematic touches like actual transfer negotiation cutscenes and in-game photographs of press conferences provide personality. The commentary team seem to highlight your individual achievements a little more, too, helping you stay invested in your alternate reality where Liverpool have won back-to-back league titles. Speaking of commentary, we're officially sick of hearing Martin Tyler repeat the same lengthy stories over and over again. While some new lines have been added, the overall quality is still woeful. Alan Smith will still act like he's watching the most disappointing match of his life when the scoreline sits at 7-5, and both commentators still have a habit of making ridiculous statements that have no bearing on what's actually happening. We ranted about the craptastic commentary last year, but we're more than prepared to keep doing it until EA finally decides to refresh the system. Last but not least, let's just acknowledge how good FIFA 18 looks. By this point we all know that the Frostbite engine can make some gorgeous games. FIFA 17 showed that, but with this year's instalment, it seems like the developer's really wrapped its head around the tech. FIFA 18 has a noticeable shine to it that gives the release a lovely visual depth that its slightly flat predecessor lacked. Vibrant colours and impressive lighting make this a rich, almost photorealistic treat for the eyes. Somehow, EA has managed to refine and hone the modern FIFA formula to an even greater degree with FIFA 18. Last year we questioned what more the developer could possibly do to keep the series from stagnating, and it turns out that making a slew of welcome smaller adjustments across the board can really impact the big picture. 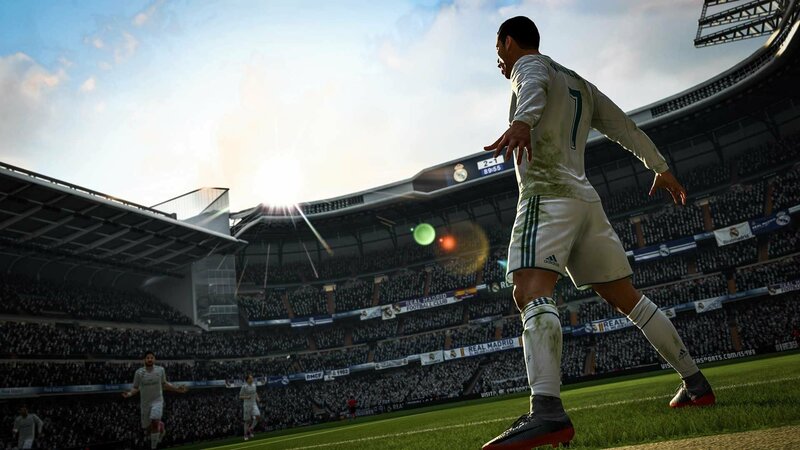 Some will roll their eyes, but FIFA 18 is yet another fantastic footie sim -- one that takes the ball from the already great FIFA 17 and runs with it. Sounds like a great upgrade. Really looking forward to picking this up closer to Christmas. Enjoyed the Demo no..........I really enjoyed the Demo playing as L.A. Galaxy and absorbing the atmosphere all the way down to the stadium announcer in an American accent little details but it added to the immersive game play which indecently is improved a lot the lighting is incredible and the menus. 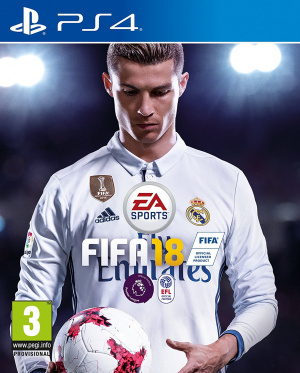 I will wait for Fifa 18 to drop in price and snap up a copy i'm done with Konami's failure to grow up. I've been PES ever since the days of ISS on the SNES too.. The FIFA series has always lacked that 'something' that PES just seems to nail on the head. The ball physics, player to player physicality & overall match flow is just superior. FIFA has always won the majority over due to its authentic licenses, officoal endorsements etc but on PESworld you can download the option file to USB stick & give PES all the licensed teams & competitions anyways. If that was the top down footy game in the C64 era, then you're quite right. @FaultyDroid Amiga era, they did Microprose Soccer in the C64 era though. Sensible soccer was a great game but I think like many games it ws because of the time of life when I played it. And the memories i associate with it. The HDR support has done wonders for the game's presentation. The lighting is a huge upgrade on last year's Fifa if you have a TV that supports it. Still not Emlyn Hughes International Soccer on C64.. but getting there..
Ive switched from PES to Fifa this year and to catch up I bought Fifa17 on the cheap to play the Journey story line and I thoroughly enjoyed the story mode very good and gave a bit of goose bumps as hunter gets recalled to Man U .
Ive played a little bit of Fifa18 and was gobsmacked at how well it flowed gone of the days of a one person wonder and scoring stupid long range goals and or constant headers it feels more a sensible game and feels more of a footy sim that it should be. After playing this years pes i was glad a i read all the reviews it was very very poor. 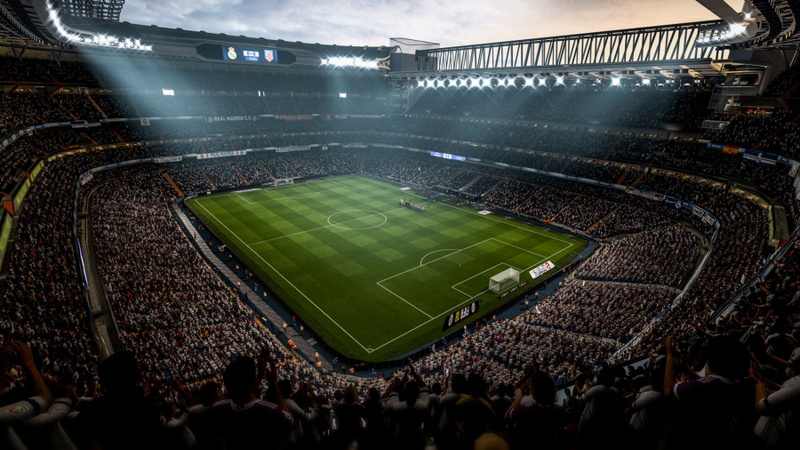 I always used to switch between FIFA and PES, but eventually settled on FIFA - the authenticity and presentation just makes for a better experience, in my personal opinion. That being said, FIFA 18 is the first I've bought in 5 or 6 years. I've played all the versions in between, as a friend always buys it, and we get together once a week to play... but for a long time there were small issues which prevented me enjoying it, and they became too frustrating for me to part with my own money and play regularly. Things like players starting a run forward, only to stop dead when you play a through-ball as if they're not allowed in the final third. The demo seemed to show that they'd resolved many of the issues I had with previous versions, though, so I took a chance... and so far, I'm very happy with it. It flows really, really well.